Now You're Talking with Marshall Ramsey: 1 Nasty Women & a great musician!! 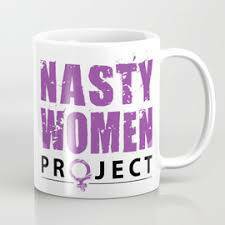 Today on Now You'r talking, we welcomed Kaye Phillips, co-author of “Nasty Women Project: Voices from the Resistance” as she discussed her life, the book and upcoming projects. We also spoke with musician Seth Power as he discussed his life and his music. We also have an exclusive for you from Seth so sit back and enjoy this episode of "Now You're Talking with Marshall Ramsey"